Top Marques Direct Ltd is a garment decoration company, offering embroidery, print and transfer to most garments. Established in 2003 in Sudbury, the business has grown by gaining a reputation for great work, service and attention to detail. 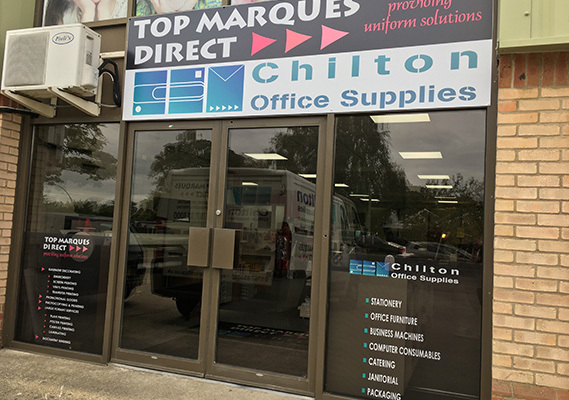 The present owners, Steve and Lisa Gates, bought the company from the previous owner Jacqui, when she decided to retire, to complement the T-shirt printing arm of their other business, Chilton Office Supplies. We aim to help you make the right choice of garment for your needs by spending time with you, discussing not only the image you are trying to achieve, but also ensuring that the garments translate to all your staff. It’s worth taking the time at the start, as it can save time and expense further down the line. Our Manager, Tessa, is very customer service driven and oversees the whole process from the first enquiry to the finished article. 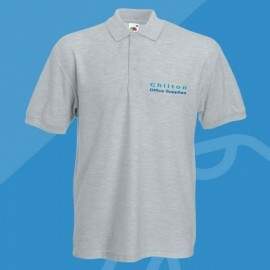 Having decided to supply your staff with decorated workwear, it’s important to make sure that your name and logo looks great on the garment. We have a high level of attention to detail. 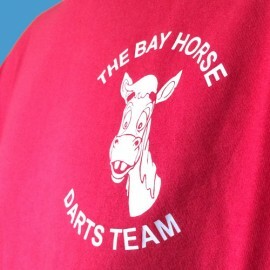 We take the customer’s logo, digitise it and stitch out a sample to make sure it is correct before decorating garments. If any aspect isn’t right, adjustments are made to the digitised file and another sample is produced. Only when we are satisfied the sample is correct is it shown to the customer for their approval. Thread colours are chosen to match the customer’s logo. All threads have a reference number, and we note these on the job sheet so that repeat orders are always the same. Time is spent with the customer to help them decide which garments are best suited to their requirements. We have a wide range of sample garments in stock so that customers can see them, feel them and try them on before they buy. When the garments have been embroidered, each one is hand checked to make sure the quality is perfect before delivery. We offer free local delivery, or orders can be collected from our showroom. There is no minimum order. All designs are kept on file, so that orders can be repeated no matter what the frequency is. 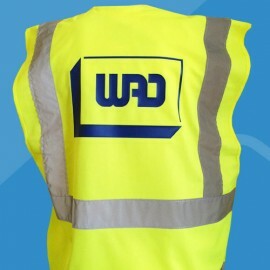 We can also print garments; there are certain garments or designs which lend themselves better to print than embroidery such as Hiviz workwear. 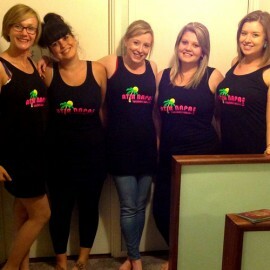 Print is better for stag and hen nights T-shirts, for instance.